To celebrate the 714 anniversary of Surabaya which fulfilled with discount feast in products sold in the market, plaza, hotel, travel bureau and the exhibition (as least 364 retail/participants) with the cultural attraction and festivals. 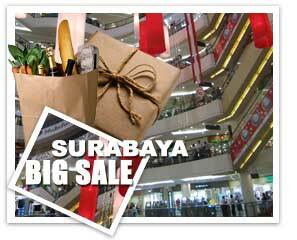 Held in every attraction place in Surabaya from 1 May-30 June 2007. The discount up to 80%.